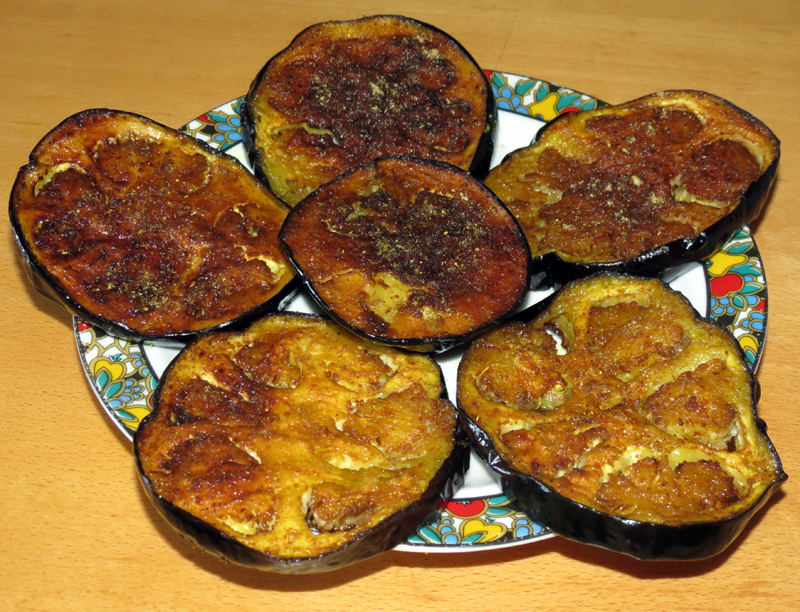 Bengali style crispy and crunchy roasted Eggplant (Brinjal/Baingan/Aubergine). Begun bhaja is a speciality of Bengal. Everyone has its own style of cooking it. Someone deep fries it and some roast it over a frying pan. It goes well as a side dish with rice or you can just have it as a starter. 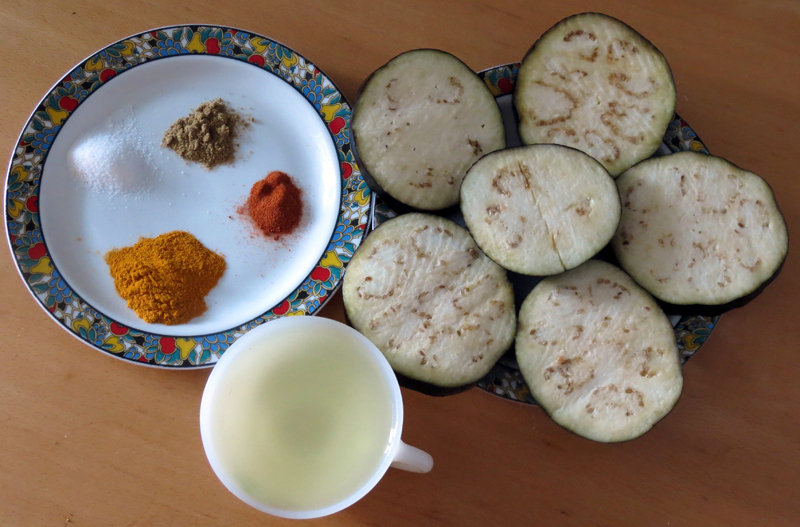 Cut Brinjals in circular round shape. Heat oil in a shallow frying pan. When hot add brinjal pieces and fry. Fry it both sides until golden brown. When it’s fully fried sprinkle some chat masala. Serve it as a side dish with rice, luchi or poori.